Quite rightly the humanitarian tragedy of the Middle East dominates the media. But quite wrongly the contemporary culture of that conflict-torn region is becoming increasingly marginalised. 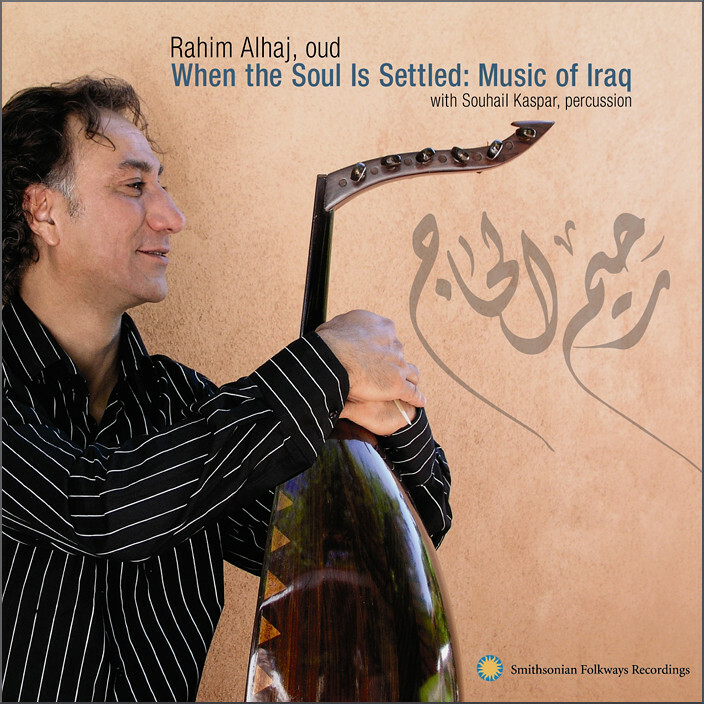 Which means this new Smithsonian Folkways CD from the Iraqi-American oud player Rahim Alhaj will be ignored by our cultural tastemakers despite a chilling relevance - Rahim Alhaj was imprisoned and tortured for two years by Saddam Hussein’s forces in the early 1990s for refusing to join Iraq's ruling Ba’ath party. Much attention has been paid to classical music journalism's surrender to prurient clickbait. But less attention is paid to a more subtle but equally dangerous trend, the rise of populism in music writing. This trend courts readers by reinforcing comfort zones and, increasingly, also courts readers by deriding anything outside the comfort zones defined by the all-important measure of re-tweets and Facebook 'likes'. In an age when there was a diversity of media positions, the reactionary views expressed in periodicals such as The Spectator were just part of a rich mix. But as that mix becomes poorer and poorer, so reaction views are becoming worryingly dominant. P.D. Ouspensky said an interesting thing - he said: "I found that the chief difficulty for most people was to realize they really heard new things - that is, things that they had never heard before. They kept translating what they heard into their habitual language. They had ceased to hope and believe that there might be anything new." He's reminding us of how hard it is to open something new without labelling it in terms of our old formulas, our old attachments. All of us need to spend less time translating the music we hear into our habitual language and measuring it against established comfort zones. Widespread adoption of the following simple listening practice would beneficially diminish the hegemony of the big. Select a piece of music you don't like. Listen to it deeply and with concentration several times. Then spend some time quietly pondering on the following questions. Why do I not like this piece? Is it because it is intrinsically bad? If so what is my definition of bad? Do I dislike the piece because it is outside my comfort zone? Is it because I don't understand it? Is my dislike the fault of the composer or of me? Is it fair to condemn the piece because I don't like/understand it? Or should I work on extending my listening comfort zones? Then listen to the piece yet again without the old attachments. The right of life is stronger than the most sublime art, and even if we reached agreement on the fact that now the best and most beautiful has been achieved, mankind thirsting more for life and adventure than perception, would rise and shout in one voice: give us something else, give us something new, indeed for Heaven's sake give us rather the bad, and let us feel that we are still alive, instead of constantly tweeting your admiration for the popular. No reviews samples used. Any copyrighted material is included as "fair use" for critical analysis only, and will be removed at the request of copyright owner(s). Also on Facebook and Twitter.